We at Body Cocoon Hair & Beauty thrive to satisfy all our valued customers with the best services in order to satisfy their needs. We promise to make each customer happy before they leave the premises and ensure they have been looked after by our friendly staff. We provide all hair services i.e. 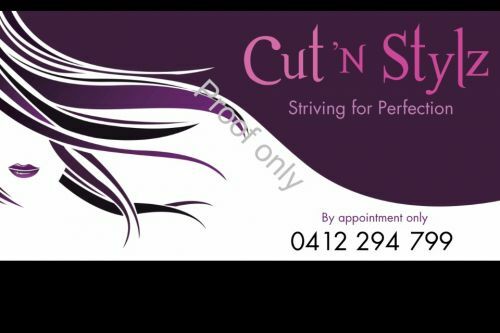 Ladies, men's and kids haircuts, hair colouring and foiling, hair treatments, blow wave, curls and temporary straightening for your special occasions. Our beauty services includes eyebrow threading, body wax, Indian and Dermalogica facials and body massage. For all those school leavers, don't get disappointed because we also do formal hair and make-up! We specialise in permanent hair straightening and Keratin hair treatment, do not hesitate to call us for a quote. Call us to get prices on any of our services including our daily and weekly specials in store. So why not take advantage of those specials and enjoy your services with the low prices! Don't forget, you can also visit us at Body Cocoon Hair - Toongabbie for all your hair dressing and grooming needs! Like us on Facebook (https://www.facebook.com/bodycocoonhairandbeauty) and follow us on Twitter (@BodyCocoon1) for exclusive offers! You will be getting a highly trained hairdresser of 16 yrs into the comfort of your own home. All you need to do is sit back and relax as i have everything a hairdresser in a salon would! I service Quakers Hill, Castle Hill, Cherrybrook, Carlingford and will travel to other areas. Please call to discuss. Providing services in Hair cutting and Styling. All aspects of colouring, Special occasion hair, Japanese Straightening , Brazilian Straightening and Hair Extension. With over 15 years of experience and a back ground in Hair education and training you will receive nothing but the best in techniques and abilities. Nothing makes you feel better than great hair. I believe that we are all unique and shine as individuals. Your hair is a reflection of your individuality and demands attention. So Let yours Shine!